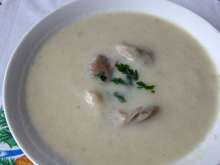 Simple finely mixed oyster mushroom - potato soup. 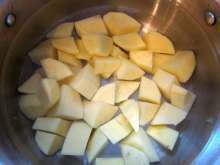 Peel the potatoes, cut and cook in water with salt and caraway. 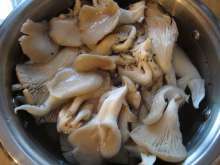 Wash oyster mushrooms, take it apart and add into the potatoes after 5 minutes. Cook together for 20 minutes. 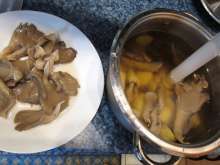 Take part of mushrooms out and mix remaining content of the pot with hand blender. 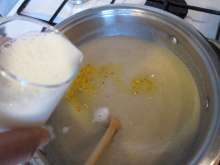 Bring to the boil mixed soup again, add milk, to taste salt, or add vegetable seasoning without glutamate. Finally add knob of butter. 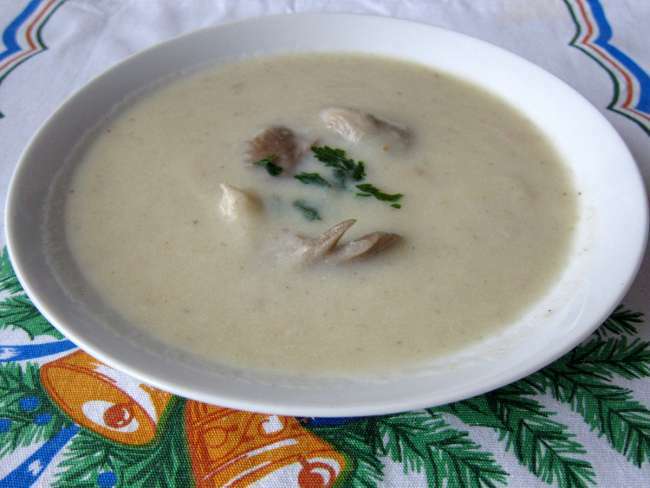 Serve with diced oyster mushroms, which was removed before mixing. Sprinkle with parsley leaves.